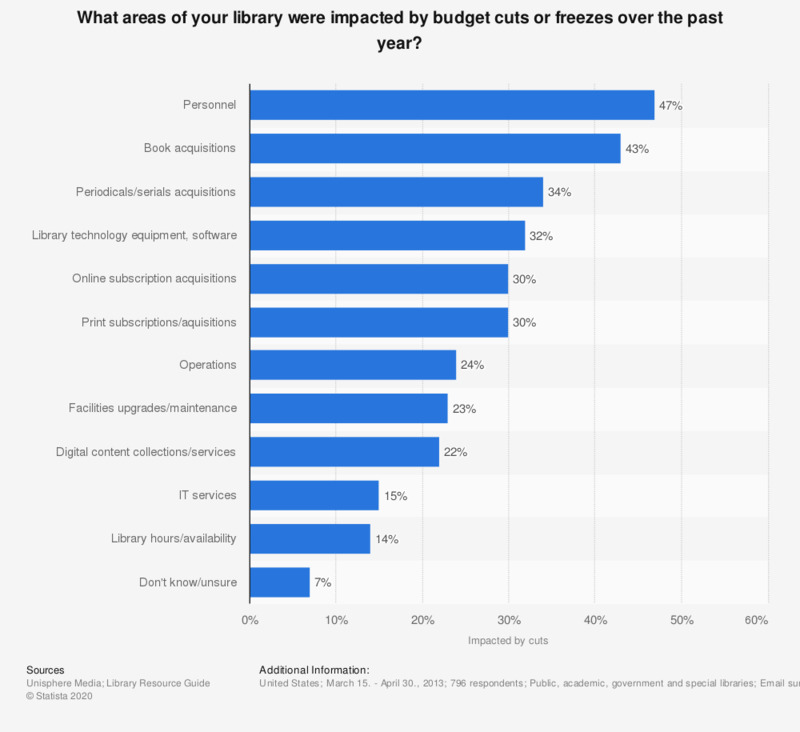 This survey shows the areas of budget cuts in U.S. libraries in 2013. Some 47 percent of libraries experienced a reduction in the personnel budget available to them. What areas of your library have seen increased spending or support over the past year? Do you use cloud resources in your library?